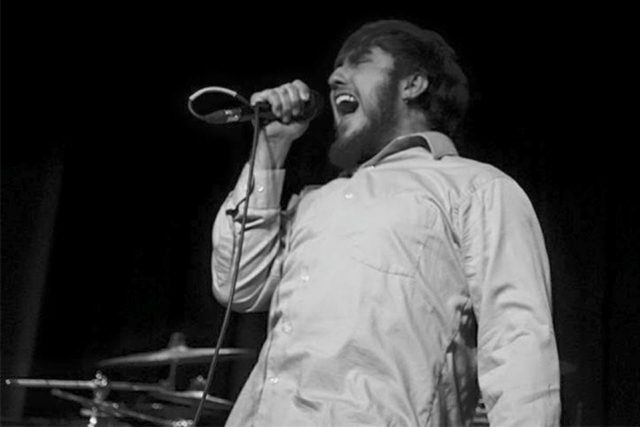 Interview with vocalist Derrek Sammons of When Towers Fall. Spoons, acid, mountains and more. | Badass Concert | Heavy Metal Music News | So METAL, we piss RUST! Interview with vocalist Derrek Sammons of When Towers Fall. Spoons, acid, mountains and more. A mountain filled with gold. An epic journey through space and time, taking you to the depths of insanity. This is not what you expect from a hard rock/metal band that is seemingly positioning themselves for radio play, but it’s what I got when I interviewed When Towers Fall vocalist Derrek Sammons. Seriously, do yourself a favor and go read their “about” section on their Facebook or ReverbNation, it’s worth a few minutes of your time, and may put some of this interview into perspective. Now, on to the rock! When Towers Fall twists up hard rock accessibility with heavy metal rhythms. You can hear two of their tracks, “Pattern of Buttons” and “Admittance” on the bands aforementioned ReverbNation page. Every member of WTF pulls their own weight on these tracks, the parts are all-well written and well-executed. Jay Stoa II has great bass tone, and interacts well with Tim Johnson’s guitar parts, most notably on the clean parts of the songs. Drummer A.J. Brantley’s intricate snare patterns build intensity right where the tracks need it. Derrek Sammons’ vocals soar over the ensemble, tying everything together. The production on these tracks is well north of acceptable, but doesn’t quite have the polish you would expect from a band in this style. I predict that will be different on the band’s upcoming full-length that they are working on now, and is expected to be released sometime in mid-2015. When Towers Fall is playing with the almighty Bloodcow on December 13th at T’z Sports Pub and Club in Council Bluffs. RSVP here. They are also on the bill for this year’s Stormfest, check out what we know about Stormfest 2015 here. Damascus Wootz: So I see on your Facebook profile that you guys have had quite the intergalactic journey to get where you are today, when did When Towers Fall start playing in this century? Derrek Sammons: We haven’t yet, we are just projections of ourselves from the distant future. DW: I also noticed that you guys are from all over the country, what brought you together in Omaha? DS: Happenstance. We have all been involved in music in some way. A mutual friend brought me into the band, as for the rest you’d have to ask them. Our bio tells the story in its own interpretation. DW: You mentioned that the band is nominated for the Best New Artist award for the Omaha Entertainment and Arts Awards. What was involved in getting that nomination? DS: Nothing, we were surprised ourselves, absolutely thrilled and honored, but surprised none-the-less. A band like us, which we feel is very left field for Omaha, getting nominated was a shock. DW: Did you have to apply or something for the OEAA thing? I seriously have no idea. DS: Nope, we found out just from the announcement on the website. DW: That’s awesome, is there a show or something you play for it? DS: Not that I am aware of. We played the OEA Showcase on November 21st which was all across Benson. About 40 bands, 7 venues. We reached out to them since we were nominated and asked if we could be involved. We ended up playing at The Sydney. I hadn’t ever played there before, but it was fun, and a packed house to top it off. DW: Do you remember who you played with that night? DS: At that venue specifically it was us, Pancho & The Contraband, Matt Cox Band, DJ Shor-T and E Babbs, Stonebelly, and Break Maiden. DW: Your EP is titled Social Media Heretic, what’s the meaning behind the title? How do you think social media is affecting the music industry, from local bands all the way up to superstar acts? DS: Social media is the death and birth of music. The game is changing constantly now because of it, but that’s half the fun. It definitely provides bands a different approach from what it used to be. The old industry is dead, or at least a shell of what it was. I think for mega superstar acts, it’s not as much of an issue for them. But for smaller bands and locals, it’s where everything is at, it’s how you connect with people. Regarding the title, originally it was going to be just a physical press. Mostly the reason was it sounded cool however, I cannot confirm or deny any other interpretations that may come from it at this time. DW: I just realized that the band name acronyms to WTF, was that on purpose? DS: We were all sitting around doing acid the other day and realized it ourselves. DW: When Towers Fall is currently in the studio working on a 12 song concept album. Where are you recording it? How far along are you? What is the concept of the album? DS: Whew! An easy one finally…. DW: Where is DHM Creative Media? Who are you working with? DS: The studio is in a small shack, in a cave, at the top of a mountain. When get there you go down a long corridor, through a dungeon, and just past the last cell is the recording area. We are working with directly with Ian Waters. Oh, forgot to mention that it’s in South Omaha. DW: Ahh yes, in the South O mountain range. I hear it’s going to be a mighty rough winter up there. DS: You have no idea, I literally slid down the road with my brakes all the way on during that last snow we had. Almost died. DW: Don’t you think it would be easier to explore the depths of insanity if you were at a lower elevation, instead of way up on a mountain? DS: Nah, we use spoons to dig intricate tunnels deeper into the mountain. Through that and several hours of meditation upside down on a trampoline, I think we have explored insanity pretty well. Though I am always open to new ideas. I may have to take your suggestion next time we’re in studio. DW: Well I hope you do, I’d love to hear how it turns out. When do you think you’ll be releasing the record? DS: I can’t say for certain right now. When it’s done feels like such a dull statement, so I’ll go with this one instead… We set dates down in the past, and life has been life and caused us to adjust them. I CAN say that we are making great progress, and with a steady pace, our goal now is early to mid next year, but that is subject to change. Maybe while digging we will stumble upon a cavern in the mountain filled with gold and then we can quit our jobs and finish the album lickety-split. Though, now that I think about it, the shack owner probably has rights to any treasure we find… that or the state… so we may be out of luck either way. DW: I think that this is a golden opportunity for a number of AC/DC quotes, but I’m not going to go there. So with that sir, I bid you adieu. Thanks for your time, it’s been a pleasure! DS: Fantastic! Puns! A great ending! It has been a pleasure as well. Thank you and may you have a safe voyage to your bed this evening!